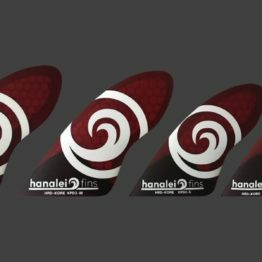 Dust Surf Supply & Apparel are the exclusive importer and distributor of HANALEI Fins and the GEARBOX fin system in South Africa. 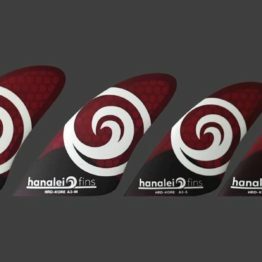 Developed in Hanalei, Hawaii by South Africans Robin Mair and Lance Pearson these fins are taking the word by storm. 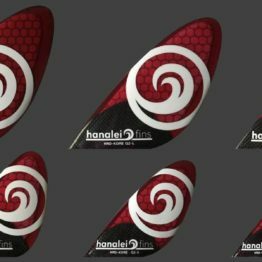 HANALEI FINS manufactures an extensive range of both RTM molded composite fins (HRD-KORE), as well as custom fiberglass & G-10 fins (HANALEI FINS). The custom fins include quads, thrusters, side bites, and regular center fins. We offer a range of completely unique templates that are unlike anything else available in the marketplace. 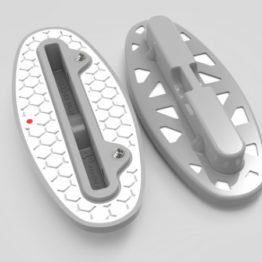 All fins are offered with either GEARBOX or DUAL TAB bases, as well as FUTURES bases on some designs. Many of the fin designs feature hollow inside foils for an extra performance boost. Our custom handmade fins are produced one at a time the old fashioned way, with hand foiling and finishing. These are high quality fins with exceptional foils that feature very unique characteristics. What we call “Fearless Foils”! The center fin range only available in fiberglass. The HRD-KORE range of fins (A3, XPD2, QS, Q2, H3, H5, and STD) are all molded composite fins, constructed using a combination of carbon fiber, fiberglass, and a SORIC Hex core. 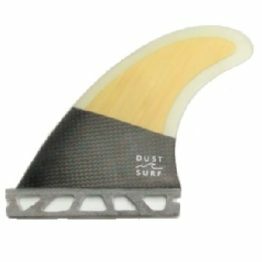 This is a light strong construction method that allows us to deliver high quality fins at a reasonable price point. All of these fins are offered with our GEARBOX base, as well as DUAL TAB, and in some templates FUTURES bases. 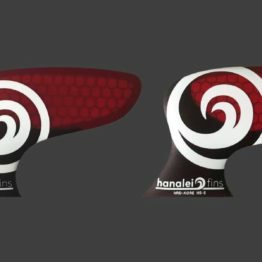 The various choices will be presented in three groupings – HRD-KORE, CUSTOM, and CENTER fins.